Jason’s research concentrates on the application of the learning sciences to higher education. Specifically, he is interested in the cognitive and emotional factors that influence learning and behaviour and how research findings from the learning sciences can be better used to enhance design for learning, teaching practice and education policy. 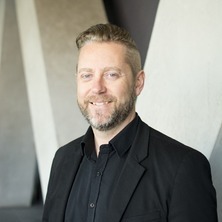 Jason is also interested in the ways technology is influencing learning, particularly in terms of the impact of technology on the development of professional ways of being, metacognition, critical thinking and expertise. Learning Analytics in the Classroom: Translating Learning Analytics Research for Teachers. Edited by Jason M. Lodge, Jared Cooney Horvath and Linda Corrin Abingdon, United Kingdom: Routledge, 2019. From the laboratory to the classroom: translating science of learning for teachers. Edited by Jared Cooney Horvath, Jason M. Lodge and John Hattie Abingdon, Oxfordshire, United Kingdom: Routledge, 2017.